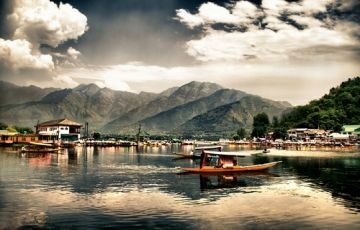 You will be brought from the airport directly to the houseboat in Srinagar. In Srinagar we are staying on Houseboats on Nigeen Lake. A perfect way to start a road trip-relax by the lake, head out for a shikara ride and just take in the views of Jahangir’s fort from the houseboat. Another eventful day ahead with an early start from Srinagar, will take us to Kargil, Drass(the second coldest inhabited place in the world), Tiger Hill and then to Shargol. 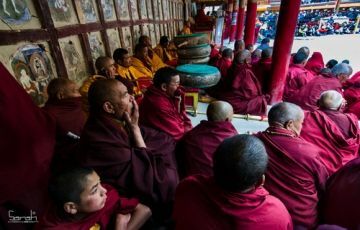 The hotel in Leh is located at a 10 minute walk from the market, very close to the Shanti Stupa. It is surrounded by lush greenery on all sides and has a river flowing just across a small field from it. We leave Leh post breakfast for Nubra Valley near the Karakoram ranges. We pass Khardungla Pass, the highest motorable road in the world at 18000ft. We cross that to go to Nubra valley. In Nubra we will be staying in a guesthouse. 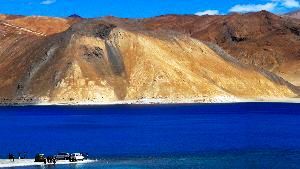 Nubra Valley-The Shyok River meets the Nubra or Siachen River to form a large valley that separates the Ladakh and the Karakoram Ranges. The average altitude of the valley is about 10,000 ft. above the sea level. The main attraction in this area is the Bactarian Camels (Shaggy double hump Camel) around sand dunes. 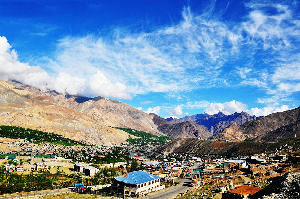 Head out to explore the beautiful village of Turtuk, 3 hours away from Nubra. Turtuk was a Pakistani village up to the 1970’s and was open to tourism only in 2010. But the beautiful landscape, the apple orchards, the crystal clear streams will make it more than worth your while. We head back to Leh post breakfast via Khardungla again. Early next morning set off for Pangong Tso via Changla Pass. 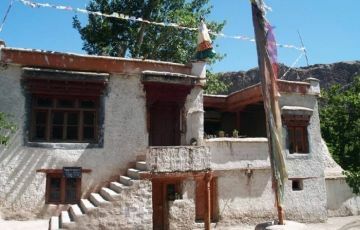 You will also visit Thiksey and Shey Monastery. 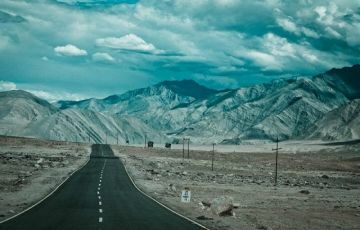 Chang La is the second highest motorable road in the world and we will be passing by the ChangLa temple, which is often covered in snow and prayer flags. 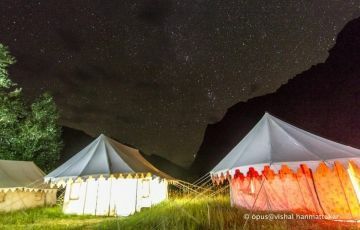 We will be staying at camp, in Swiss tents there. We return to Leh after spending the morning by the Lake. We come back to our home-stay, explore the markets for some buys and have our dinner together in a café that we all liked best!